At the heart of the JBay Winterfest is the sport of surfing. The JBU Supertrial powered by Monster Energy is behind us, and we have the JBay Loggers Classic and the Corona Open JBay still to come. The JBay Loggers Classic sees a return to old school, with the 9’2 and above single-fins the only accepted craft in this tournament, and it promises to be a groovy rendition of style-orientated surfing at the Lower Point. With a healthy number of international entries for the contest, it promises to bring something fresh to the JBay Winterfest. The Corona Open JBay is for the elite Championship Tour of surfing, the best competitive surfers in the world, and it takes place at the legendary Supertubes. Defending champion Mick Fanning from Australia will be present along with current world champion John John Florence from Hawaii. South Africa will be represented by two-times event winner and current third-ranked surfer in the world Jordy Smith from Durban, as well as the winner of the JBU Supertrial, Dale Staples from St Francis Bay, who will be surfing in the competition on the wildcard that he won for his victory in the trials tournament. 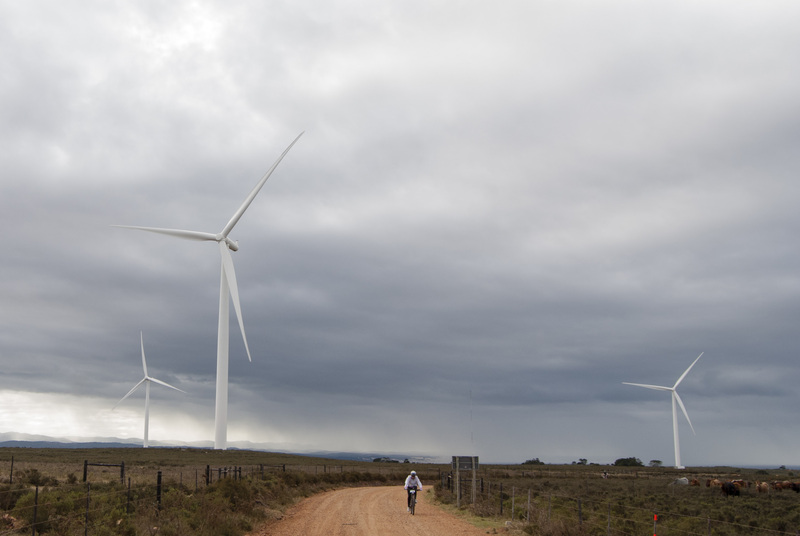 The JBay Windfarm MTB Classic is the JBay Winterfest’s exciting and fast-paced mountain bike challenge. The fifth edition of this race will once again offer something for all mountain-bike skill and fitness levels, featuring a 25km fun ride, 50km marathon and 85km ultra. The most exciting prospect of the 2017 event is that the 85km ultra will feature an all-new route with a spectacular new singletrack. (Route release to come soon) The event runs from Kabeljouws parking lot where there will be a race village setup. The JBay Windfarm MTB Classic takes place on the 22nd of July 2017. The top three women from 2016 will be back to battle for the podium, this includes three-time winner Anriëtte Schoeman as well as defending champion. The event will showcase the finest trail riding the Eastern Cape has to offer. The Endurade JBay X Trail Run has grown in leaps and bounds, and 2017 looks to be the breakthrough year for this race. The Endurade JBayX is unique in concept, entailing three individual 20km trail runs, with all starting 12-hours apart, showcasing the best of the Jeffreys Bay area. The total distance covered will be just over 60km, taking place from the 21st to the 23rd of July. A 10km and 5km Fun trail run / walk will be presented on Sunday, the 23rd of July 2017, starting at 9:00am and 10:00am respectively. Both these events will be suitable for families, friends, supporters and first time trail runners. This year the race organisers are proud to announce that the golden couple of SA trail running, Landie and Christiaan Greyling, will at the 2017 Endurade JBayX trail run, not only to present a trail running workshop (Friday the 21st of July @ 17:30), but also to take part in the race. The Workshop, made possible by Sea Whisper Guest House, will have Landie and Christiaan share personal experiences, tips and advice on training, gear, nutrition, and more, as well as answer your trail running questions.